Catriona Watt joined Fox & Partners in September 2008 after training and qualifying as a solicitor at a leading commercial practice in Edinburgh. Catriona advises employers, professional partnerships and LLPs, senior executives and partners on employment and partnership law. Her experience includes advising both institutions and individuals on sensitive and confidential senior level appointments and departures. She regularly drafts, and advises both employers and individual executives and partners on the terms of service agreements, staff polices and procedures, settlement agreements, LLP agreements, and retirement deeds. 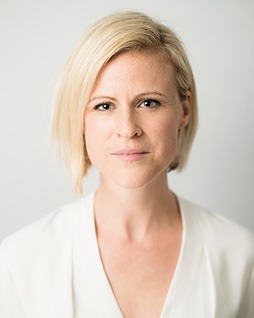 Catriona also deals with individuals leaving and joining hedge fund and private equity structures, frequently with a complex bonus and incentive element. Catriona regularly provides tactical advice to individuals leaving one role to join a competitor and to firms and employers responding to these situations. There are often associated issues regarding restrictive covenants, the law relating to team moves and the individual’s overriding fiduciary obligations to their firm or employer. Catriona has been actively involved in Employment Tribunal and High Court litigation including high-value discrimination and whistleblowing claims. She gives clear and pragmatic advice tailored to the client’s objectives in situations which are usually time-critical and high-profile. Where there is a market-sensitive or public interest angle, Catriona works with PR advisers. Catriona is recommended by The Legal 500 2015 for Partnership law. Catriona is a member of the Employment Law Association, Association of Partnership Practitioners and is the immediate past Co-Chair of the Young Lawyers’ Committee of the International Bar Association (IBA). Catriona regularly attends IBA conferences and events and often writes for industry press.